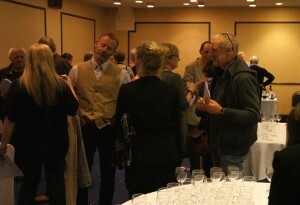 Last month Bin21 Hexham put together its first local tasting since opening its doors in December 2011, only a year and a half since owner Patrick (Paddy) Eyres first started in Morpeth in October 2010. 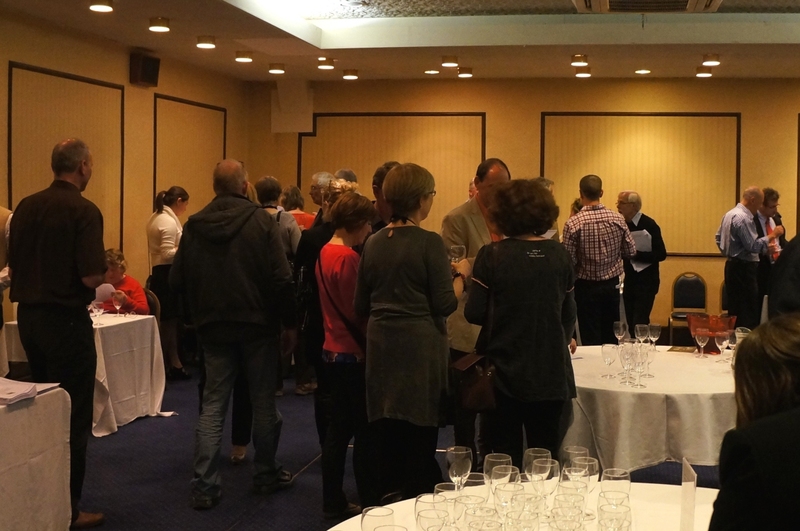 The Tynedale tasting was organised at the Beaumont Hotel on 27th April with over 120 tickets sold for the evening event. As with his previous tasting in Morpeth Paddy brought in his suppliers to show their wines personally. This time there were 9 tables of wine, 1 of Champagne and delicious cheese and crackers from the Deli at Number 4 just down the street. Mark O’Brien MW of Hatch Mansfield with an elegant Chardonnay/Pinot Noir theme. Iain Barrie of PLB Group with a mixed bag of whites and reds. David Boulding of Vinoceros with mainly Antipodean whites. 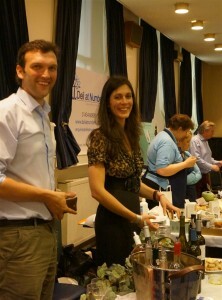 Marta Mateus of MartaVine, ably supported by husband Kevin. Simon Powys Maurice from Laytons with a full table of Old World dominated whites and reds. Roger Green of Forth Wines with Old World whites and classic reds. Richard Bouglet of L’Art du Vin with a combination of traditional white and reds with an Old World theme. 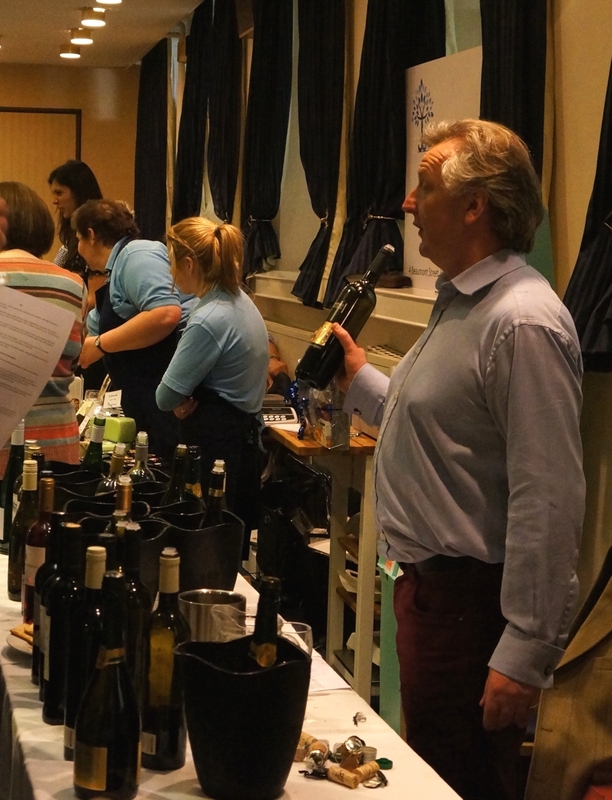 With over 80 different wines to try, most of them different to the Morpeth tasting, it was going to be a hard ask, especially when there wasn’t a spittoon obvious (I later learned there was one hidden away somewhere, too late by then!). 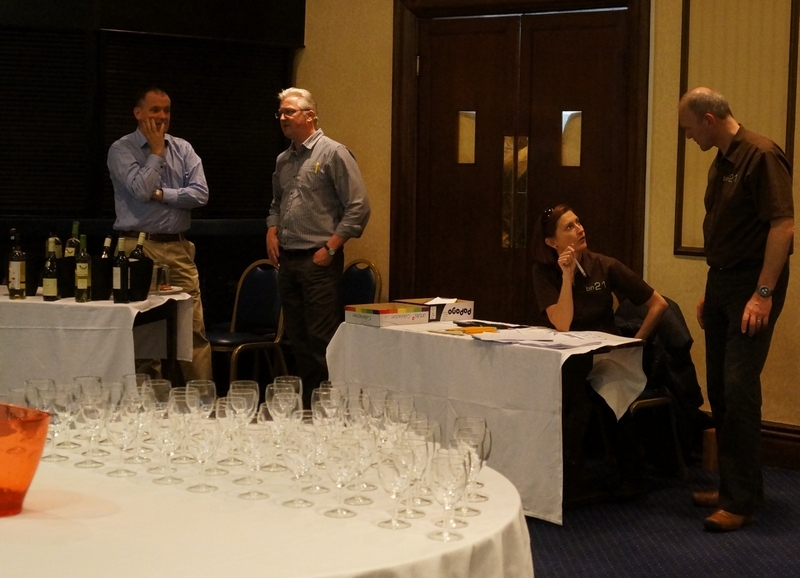 Over the course of 3 hours I managed to scrawl notes on 46 different wines, although some of the later ones were reduced to a few barely legible words! I apologise for the ones I may have missed, nevertheless I covered a good cross section of all the tables, colours and styles so here’s my top dozen wines which impressed me a little more than the others. There was an equal split of Old & New World for the whites. For France the Louis Jadot 2009 Marsannay Blanc from Burgundy (Hatch Mansfied) showed superb minerality and a toasty finish, while Les Garrigues 2011 Grande Reserve Grenache Blanc from the Languedoc (Laytons) was smooth and rich with citrus complexity. Over to Australia and the McWilliams Mount Pleasant 2005 Elizabeth Semillon from the Hunter Valley (PLB Group) was equally rich and citrusy, but with a mature complexity befitting the extra bottle age that Semillon thrives on. The Hunter Valley also produced the excellent Tyrrells Old Winery Verdelho (John E. Fells) which had bracing acidity and a zesty lemon sherbet aspect, while across the Tasman Sea Coopers Creek 2009 The Little Rascal Arneis from Gisbourne, New Zealand (Vinoceros) combined fresh herbs on the nose with a rich, honeyed taste and floral finish. But it was Portugal that had the best white (by a nose from the Marsannay) with Companhia das Quintas 2009 Morgado Santa Catherina from Bucelas/Lisbon (PortoVino) which struggled on the nose but delivered on the palate with a rich complexity and a toasty/nutty finish. Only one New World red impressed this time, the Norton 2008 Malbec Reserva from Mendoza, Argentina (Vinoceros) which had real depth and structure with fine grain chocolaty tannins. The remaining five all came from the classic European countries with France represented by Marsannay again, this time the Louis Jadot 2009 Clos du Roy Burgundy (Hatch Mansfield), a beautiful Pinot Noir with fresh fruit on the palate and good complexity with balanced young tannins, although the nose struggled to express. Portugal showed very well with the Casa Santos Lima 2008 Sousão Tinto, Lisbon (MartaVine) with its brooding liquorice nose and Jeckyll & Hyde effect on the palate; first gently soothing, then slapping you with strong textures before finishing warm and sweet to compensate. For Italy the Cantina Nicosia 2009 Etna Rosso (55% Nerello Mascalese, 45% Nerello Capuccio) from Sicily (Laytons) had a subtle mineral nose and was a little light on fruit, but had good acid & tannin structure. Laytons also poured the meaty Dominio de la Vega 2004 Reserva, 100% Cabernet Sauvignon from Valencia with liquorice, fine dry tannins and good balance. Spain also brings the list to a close with the Beronia 2006 Rioja Reserva (Forth Wines), Tempranillo with a little Graciano and Mazuelo with a classic vanilla nose and balanced sweet fruit with oaky tannins. It was difficult to decide between the Spanish Tempranillo or the Portuguese Sousão for best red, they were both good, but if pushed I’d guess the Rioja just edged it. And best overall wine on the night? For me it was the 2009 Morgado Santa Catherina, a 100% Arinto white which was just drinking superbly. It should also be mentioned that the Deli at Number 4 was doing some wonderful cheese (the Wookey Hole and Smoked Goats cheese were especially good along with their Fig and Charcoal crackers). All in all I was a happy, if slightly sozzled, man as I made my way home on the Friday evening. Once again Paddy had put together an excellent show (with a little help from his wine friends) and I got an extended set of tasting notes for his range. Paddy is back showing his wines again at the Haydon Bridge Beer Festival on the 6th & 7th of July where he’s hosting “The Wine Lounge”. 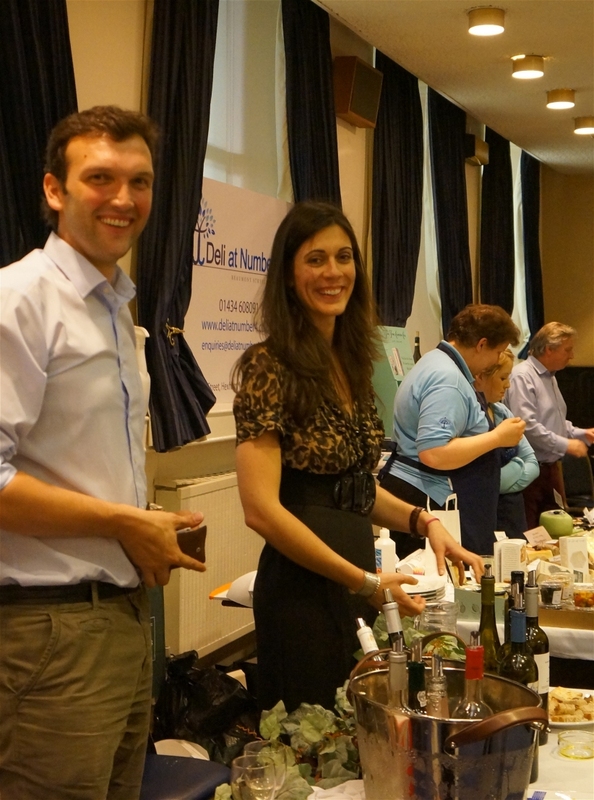 This entry was posted in Local Tastings and tagged Bin21, Local Tasting, MartaVine, PortoVino. Bookmark the permalink.